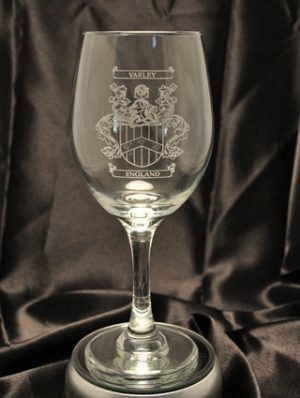 We offer many ways to honor the union of two families. 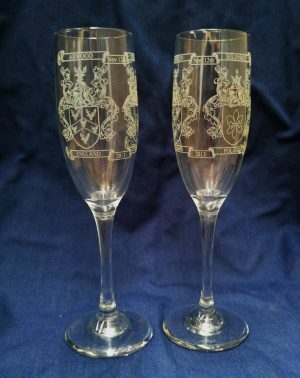 From photo quality prints to thows, plaques and embroideries, the perfect Anniversary gift is here. 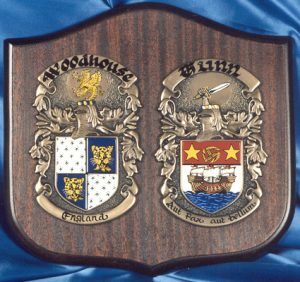 Two Coat of Arms hand-painted on copper shields with last names and countries of origin, mounted on a mahogany stained base. 10 1/2″ x 10″. Free shipping. 13 1/2″ x 13 1/2″. Free shipping. 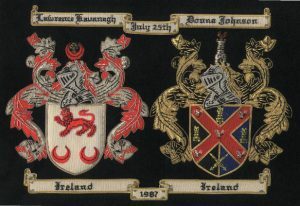 Hand-embroidered Anniversary Coat of Arms with husband’s and wife’s full name, wedding date and countries of origin for the two names on the banners. 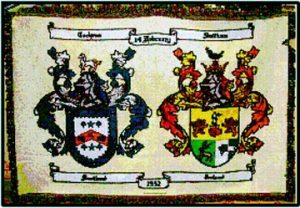 11″ x 14″. Free shipping. 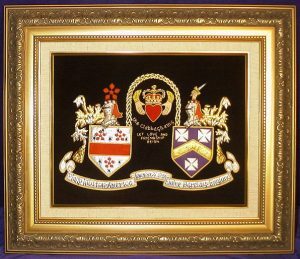 Hand-embroidered Anniversary Coat of Arms with husband’s and wife’s full name, wedding date and countries of origin for the two names on the banners. 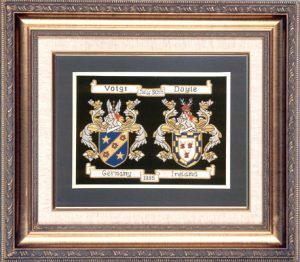 Mounted, matted and framed in an antique gold frame.11″ x 14″. Free shipping. 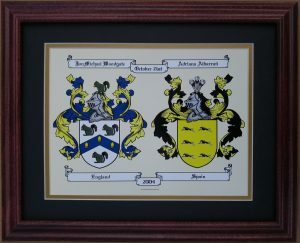 100% cotton throw with two Coat of Arms and banners to display the full names of bride and groom and a significant date. Dye sublimated. 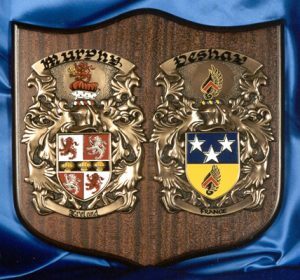 35″ x 54″. Free shipping.